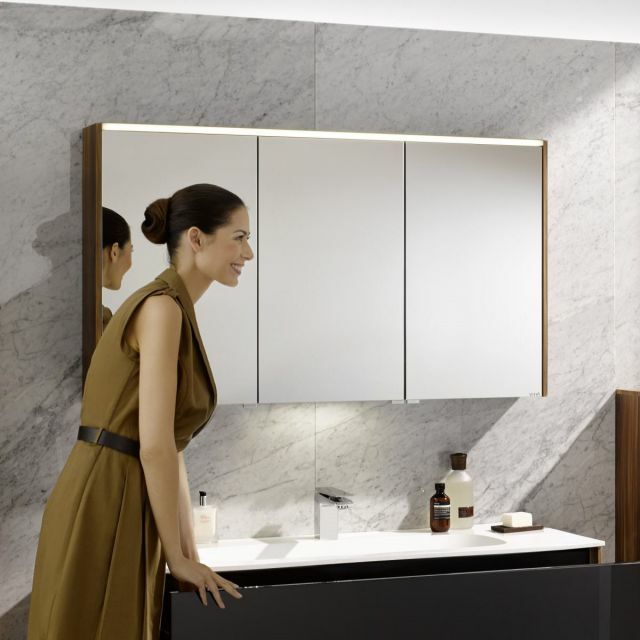 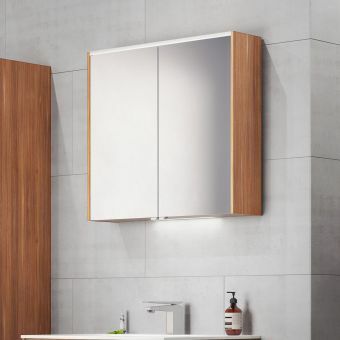 The 120cm M-Line Infinit mirror cabinet is a stunning triple door illuminated mirror cabinet, with long life eco LED lighting above and below the unit. 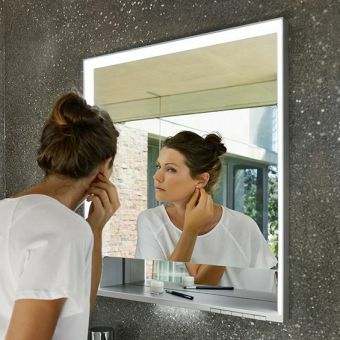 The top strip of lighting illuminates the mirror, which is ideal for makeup application, shaving and other facial grooming activities and skincare routines. 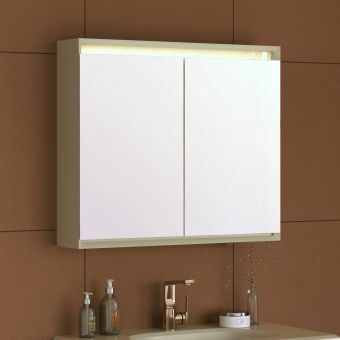 The downwards lighting acts as useful task lighting illuminating your wash area, be that the matching 1200mm vanity unit from this range or a washbowl of your choice, even a counter top and wash bowl, whichever bathroom item you choose to accompany this stunning 1200mm cabinet will look equally superb fitted above any washing area. 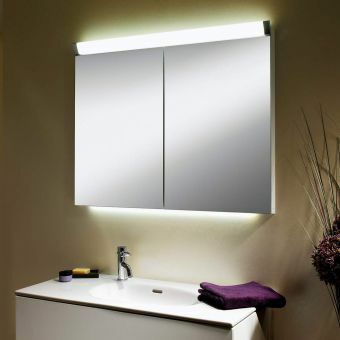 The LED lighting is switch operated the switch is at the bottom right of the unit. 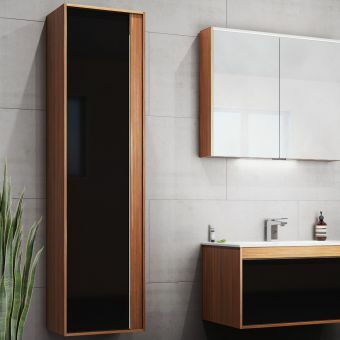 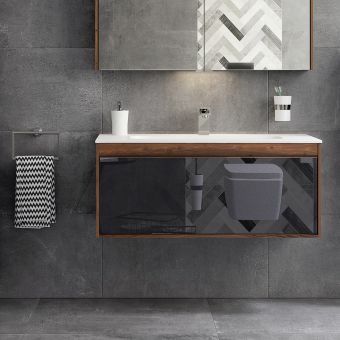 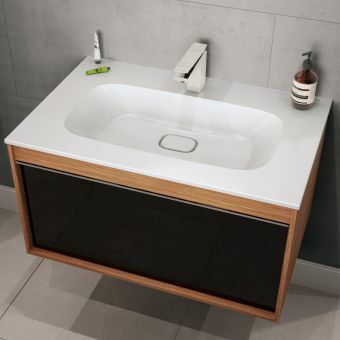 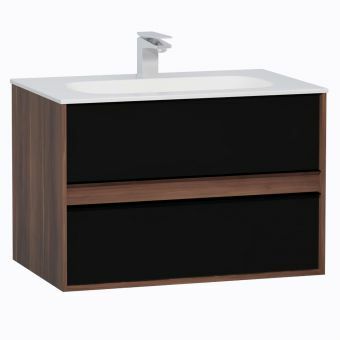 3 stylish colour choices are available, Plum tree and Silver oak which bring a natural element into the bathroom thanks to their hearty wood grain surface, which are thermoform coated for protection and durability in the bathroom environment. 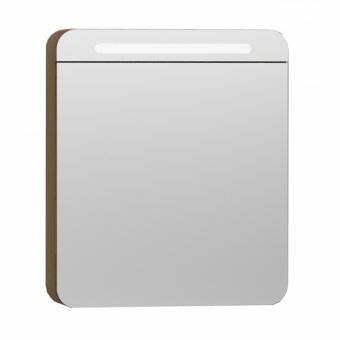 Finally White high gloss is available, a brighter gleaming white finish which is easily matched to a variety of other bathroom suites. 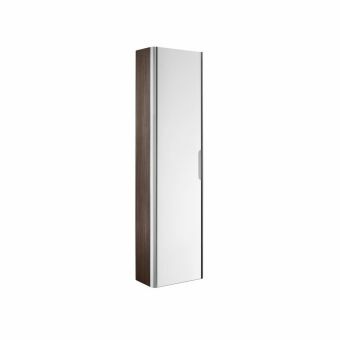 Soft opening and close door hinges mean ease of use and everyday comfort as they ensure no slamming or trapped fingers when opening and closing your cabinet doors! 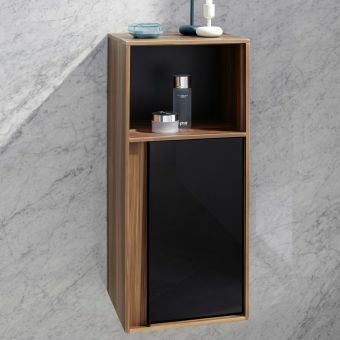 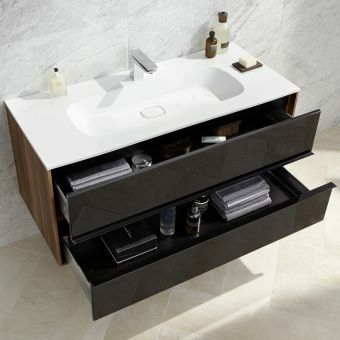 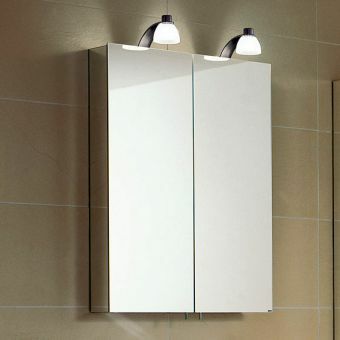 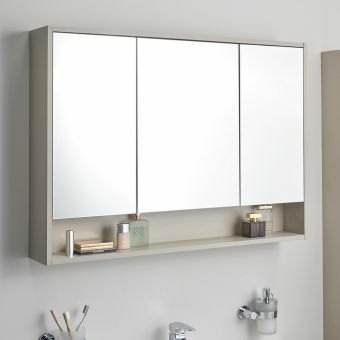 A stunning triple door mirror cabinet with superb build quality, made to last and designed to enhance any bathroom.